Article: Is Asia finally ready to leverage new opportunities in aviation sector? According to the IATA, out of the top five fastest growing markets for aviation in the world, barring the US the other four are Asian countries. As Asia faces rising population and fast emerging economies, many countries are witnessing a boom of tertiary service industries. Among many, one that is projected to grow significantly in the coming years in the Asia Pacific is the aviation sector. To understand the scope of this rise, one projection by the International Air Transport Association (IATA) states that the aviation sector in APAC region is going to lead to profits amounting to $8 billion in the next year itself. Buts it’s the long-term projection which has more hope in store for the region. According to a report released by Air Transport Action Group (ATAG) on the growth potential of the region states that “More than a third of global passenger traffic comes from the Asia-Pacific, making it the busiest air transport region in the world.” This in return translates into a significant growth of the industry in the coming years. And being one of the industries yet to be significantly impacted by job displacing technologies, this would help countries to create more jobs—-about 44 million jobs are predicted to be created in the period leading up to 2036 according to the same report. 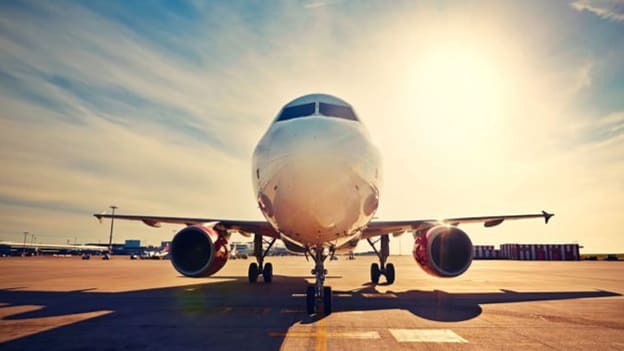 According to the IATA, out of the top five fastest growing markets for aviation in the world, barring the US the other four are Asian countries. China leads the list and after the US, India, Indonesia, and Vietnam are projected to be the fastest growing aviation markets. By 2035, an additional 1.8 billion annual passengers will be transported to, from and within the Asia Pacific for an overall market size of 3.1 billion. This is good news for a region that has many emerging economies with swelling labor markets and business conditions that are increasingly getting more prone to technological disruption. This latent potential is one of the reasons why big aerospace companies like Boeing and Airbus have for the past few years have been increasing their focus on Asian markets. But for countries in South and Southeast Asia, this means that more people need to be trained and provided skilling opportunities to become pilots and ground staff which can, in turn, support the sector's growth and meet the need for quality talent. Such initiatives would become more relevant as the sector is growing both in its size and its need for qualified staff in the region. Boeing in a statement recently spoke of how Asia still needs around two hundred thousand, according to a BBC report, pilots and over three hundred thousand cabin crew, half of which are will stem from China. But in spite of this surging demand, the industry has been facing a shortage of qualified pilots. This has made some destinations like UAE and China more attractive as compared to other places because they offer higher packages. Some estimates state that south-east Asia requires over 42,000 pilots while the Southeast countries would find their aviation companies looking for about fifty thousand. While such numbers are positive news for countries who are looking for parts of modern-day economies whose growth can also lead to a rise in jobs. But Boeing also predicts that such a dependence on labor in the region, which is often untrained or not qualified enough to meet the demands of the booming industry puts this future growth potential at risk. In BBC report Keith Cooper, vice president of Training and Professional Services for Boeing Global Services adds, “Strong demand for pilots in the region continues, and we expect that this will continue for the next several years." Not only does having less number of qualified pilots put the future of sector at risk but also demand higher wages which make of warped economics as wages remain significantly high. To meet this growing demand, and in turn, the growth potential comes to fruition, some countries have proactively started building skill levels of their workforce. Singapore, for example, is expected to create over 8000 jobs by 2025 and as result, the nation has already put in training facilities for not just plots but also to create a more efficient ground staff to ensure their aviation sector doesn’t experience a talent crunch. This includes both funded reskilling and training opportunities and certified degree programs. In addition to improving skill levels, countries also need to focus on improving structural issues which are often the case in the south and Southeast Asian markets. Southeast Asia, for example, is currently one the most attractive regions in the world for aviation companies. Southeast Asian markets have now enjoyed at least three years of double-digit, or near double-digit, passenger growth: Cambodia, Laos, Myanmar, Thailand, the Philippines, and Vietnam, while Indonesia, the largest market in the region has experienced slow relative growth. For a much more equitable growth in the region more there needs to be a focus on key reasons that have held back countries like Indonesia, i.e infrastructural constraints, unfavourable regulatory environment, and a relatively weak economy. To ensure the region, and its job seekers are able to benefit from the projected growth of the sector, countries have to pay a close attention to how effectively they are able to tap into this latent potential by ensuring their aviation sectors are able to grow and create more jobs on its way.